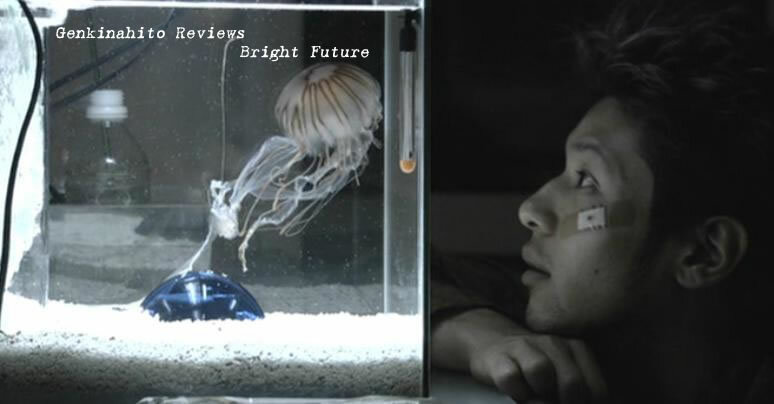 Bright Future revels in metaphors of the burst bubble economy of the 90’s, failed parents, broken families and aimless youth finding direction. It’s most explicit in the way the father gets surrogate son and the two must work together in a rediscovery of responsibility and self-reliance. What is more intriguing is the change that Kurosawa himself is undergoing. Although his familiar cold looking urban exteriors, dilapidated buildings, gloomy interiors and melancholy characters are captured there is a raw feeling with more stark whites and over-exposure. In between the light and the dark are the jellyfish which are stunning to look at when in their tanks, providing points of alluring but deadly light and interesting visuals. There is a nervous energy as the camera moves around a lot more with multiple cuts in scenes, rain covering the lens at points, creating a disjointed sensation at times but that’s part of the experience – conveying the confusion of everyday life. The characters inhabiting this world are not Kurosawa’s regulars but a new generation although Asano manages to capture the eerie presence of the serial killer in Kurosawa’s 1997 film Cure. 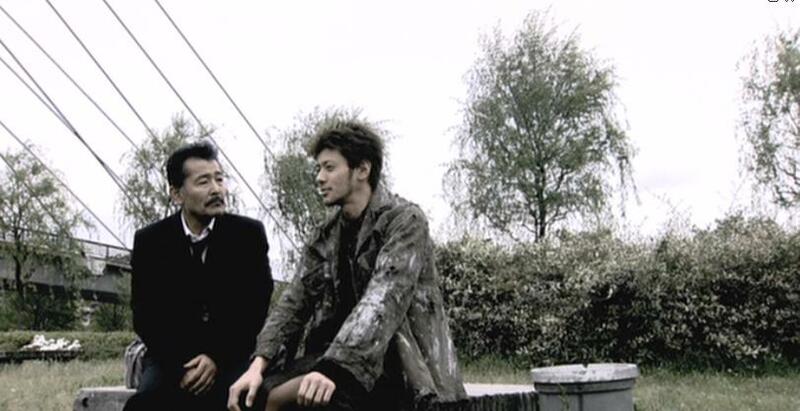 Odagiri stands in for a lost generation with a great performance that shows so much confusion, desperation to be good. His uncertain future and loneliness is vividly captured in a dream sequence where he must press walking through a bleak urban landscape buffeted by winds and trash. He is at once sympathetic but scary because you don’t know his true potential and you hope he discovers a path that will lead him to a bright future. 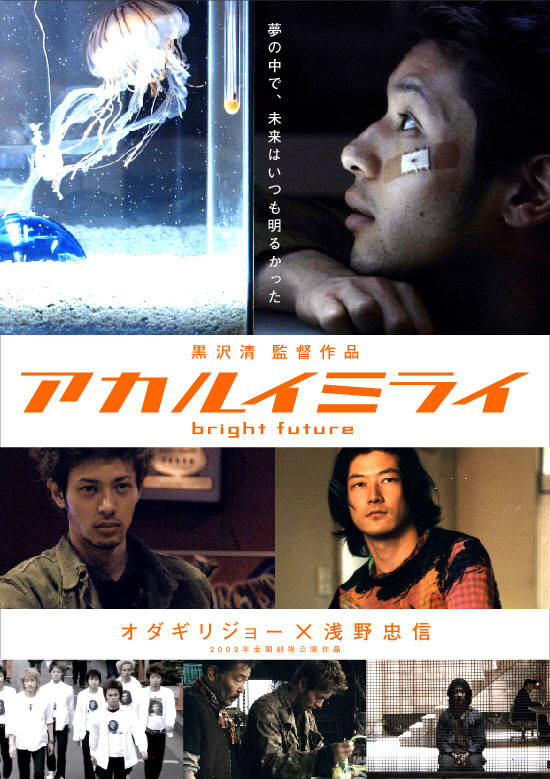 As a major fan of Kurosawa’s work what is most interesting about Bright Future is that it is obviously a stepping stone into more mainstream subjects and new filming technology that would culminate in the brilliant (dare I say, classic) Tokyo Sonata five years later. Seen out of this context it might underwhelm.